Molybdenum industry research and analysis report introduce some research and analysis reports of molybdenum and related molybdenum products. This report expounds the development of molybdenum silicide market from the aspects of molybdenum silicide international development, China domestic molybdenum silicide policy and development, research and development, import and export situation, key production enterprises, existing problems and countermeasures. On this basis there also makes scientific predictions on molybdenum silicide development prospect. Finally, this report analyzes molybdenum silicide investment potential. This report expounds molybdenum slab market development from the aspects of molybdenum slab international development and China domestic molybdenum slab policy and development, research and development, import and export situation, key production enterprises, existing problems and countermeasures, and on this basis makes scientific predictions on molybdenum slab development prospect. Finally, there analyzes molybdenum slab investment potential. This report expounds molybdenum chemical market development from the aspects of molybdenum chemical international development and China domestic molybdenum slab policy and development, research and development, import and export situation, key production enterprises, existing problems and countermeasures. On this basis this report makes scientific predictions on molybdenum chemical development prospect. Finally, there analyzes molybdenum chemical investment potential. This report expounds molybdenum products market development from the aspects of molybdenum products international development and China domestic molybdenum products policy and development, research and development, import and export situation, key production enterprises, existing problems and countermeasures. On this basis this report makes scientific predictions on molybdenum products development prospect. Finally, there analyzes molybdenum products investment potential. This report expounds molybdenum customized products market development from the aspects of molybdenum customized products international development and China domestic molybdenum customized products policy and development, research and development, import and export situation, key production enterprises, existing problems and countermeasures. On this basis this report makes scientific predictions on molybdenum customized products development prospect. 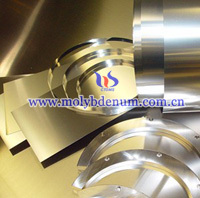 Finally, there analyzes molybdenum customized products investment potential. The full text above is in Chinese, if you have any requirement, please contact us.